Sometimes referred to as 'Warsaw Nike', Clematis 'Warszawska Nike' is a late-flowering form with wonderfully dramatic large maroon flowers in mid summer, with a second flush often appearing in autumn. The white centres of the flowers contrast beautifully with the dark, velvety petals. Best on a sunny wall, with shade at its roots. 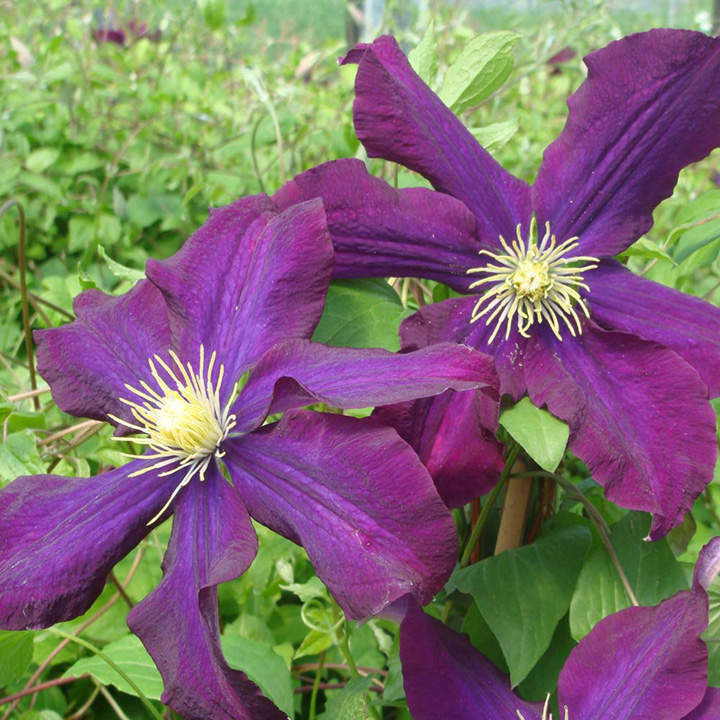 Clematis 'Warszawska Nike' is in pruning group 3. Height 250-300cm. Supplied in a 3-4 litre pot.